Jessica L. Robey is an attorney in the Health Care and Manufacturing industry groups, focusing primarily on litigation. She practices out of the Firm’s office in Charleston, West Virginia. 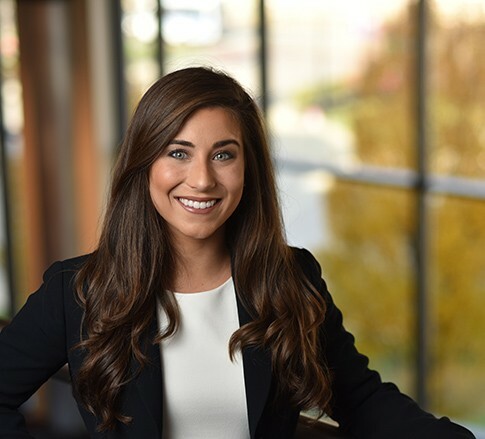 Immediately prior to joining the Firm, Jessica served as Education Counsel with the West Virginia Senate, where she drafted and amended legislation while working alongside multiple state agencies, public interest groups, and other staff attorneys. Jessica earned a Bachelor of Arts in political science from West Virginia University in 2012. She then earned her law degree, Order of the Crown, from the Charlotte School of Law in 2015. Some of Jessica’s favorite aspects of her practice are conducting research, personally meeting clients, and building relationships with everyone she works with. In her free time, Jessica maintains a very active and healthy lifestyle. She loves running, attending spin classes, playing tennis, reading, cooking, traveling, and spending time with her husband. As an avid traveler, Jessica has visited Italy, France, Germany, and the U.K., and has no plans of slowing down anytime soon. She went skydiving for the first time this past year and jumped from an airplane at 11,000 feet.